Selena Thinking Out Loud - Products Review Discounts Giveaways: Today is #LaborDay! Wow! This year is rolling right along and now we've all reached another Labor Day! I was reading Wikipedia today about Labor Day and learned that there is some things that we celebrate on this day! It's a symbol for the END OF SUMMER! It's considered the last day of the year TO WEAR WHITE or seersucker! Yikes! Officially, all kids and students will return BACK TO THE BOOKS! 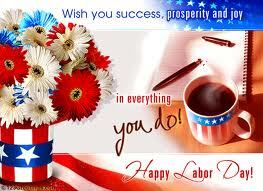 I hope you enjoy your day of easy labor (FUN!!) with your family and friends. Have a barbecue! Do some baking! Have a party! But, whatever you do, have a lot of fun and be safe, of course.